The author weaved fact and fiction, blending it seamlessly to create one truly entertaining story. 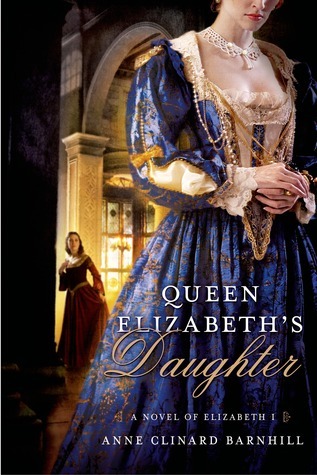 The fact that the story was based around Queen Elizabeth I was what initially intrigued me, and I must say I was not disappointed. Mary is the queen’s ward from a young age, and as such the Queen has raised her as if she was her own child. From the very beginning I was interested and entertained by Mary. She clearly lived a life of privilege, and had no real idea of what commoners were experiencing during this period, yet she never seemed to forget how lucky she was to be viewed as one of the Queen’s favored. Though she may not always agree with the Queen, it is clear her love for her never truly waivers. Sir John, on the other hand, had lived the life of a commoner. While he was not poor he knew what life struggles are about, especially when left a widower with five children. Yet, he still sees what even the Queen can recognize: Mary is someone special who should be cherished. When she starts to show him favor it is clear he does not take that attention lightly and will do whatever it takes to win her heart and keep her safe above all others. The love story is entertaining in this, but it more of a coming of age story than a romance. Mary and her relationships, including the ones with the Queen, Sir John and other suitors is a key in the plot. While this only follows a few short years in Mary’s life, it is clear these are the most influential years in her life. It also gave me a glimpse of the time in which Mary lived. This story has some historically accurate portrayals including people and events. Religion during this period is a driving force behind many in the story, and plays a key role in everyone including Mary’s life. I really enjoyed that the author really tried to keep the story as accurate as possible while still entertaining. I could tell from the very beginning that some of the events took place, even if the timeframes may have changed a bit to make it more entertaining. I has truly impressed by the amount of knowledge the author was able to incorporate, and it left me wanting more. While I have not read the author’s previous story about this time period I most certainly plan on picking it up. This is a story I believe anyone would enjoy no matter if they enjoy history or just want an entertaining story.